Instead of spending hours listing countless items for auction, wouldn’t it be great to have an app that could take on this hard work – and sell your stuff for you? Well your auctioning prayers have been answered – ladies and gentlemen, eBay is pleased to announce the release of its new ‘eBay Valet’ app. 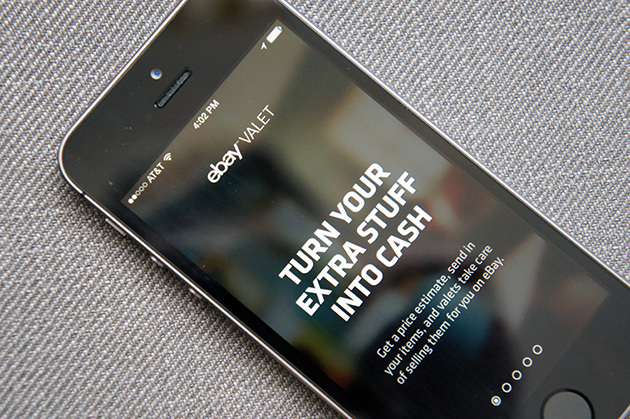 As part of the company’s efforts to expand its little-known Sell For Me service across mobile platforms, eBay Valet has been developed to simplify the selling process as well as increase smartphone usage. Developed for the iPhone, users take a picture of the item they are looking to sell then add a description. Next, eBay’s “valets” (workers for the online auction site who assess your items being put up for sale) look through the various eBay listings to establish the best prices for your goods – as well as how to appropriately list them. You’ll then receive a valuation quote, which you can either approve or reject. Should you approve the quote, your items are posted with a deadline of two weeks to sell on eBay. Once the item is sold, you get to keep 70 per cent of the profits – with eBay sending you a postage label or a free prepaid box for you to send your sold items. While similar services have tried and failed, given eBay’s standing in the shopping community, the company could end up proving its competitors wrong – and become the first success story of its kind.